BAGNALL No 2 (works No WB3213 RSH 8368 of 1962) This was built to a Bagnall design but at the Darlington works of Robert Stephenson & Hawthorns Ltd, after both firms were taken over by English Electric. It went new to the CEGB power station at Richborough in Kent and was named Horsa. 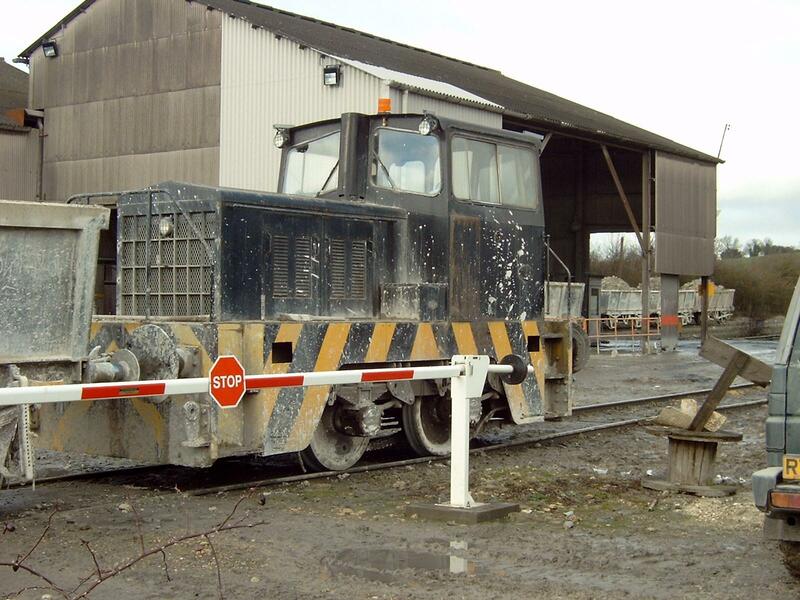 It later went to Bed ford power station before being purchased for the Nene Valley Railway at Peterborough. 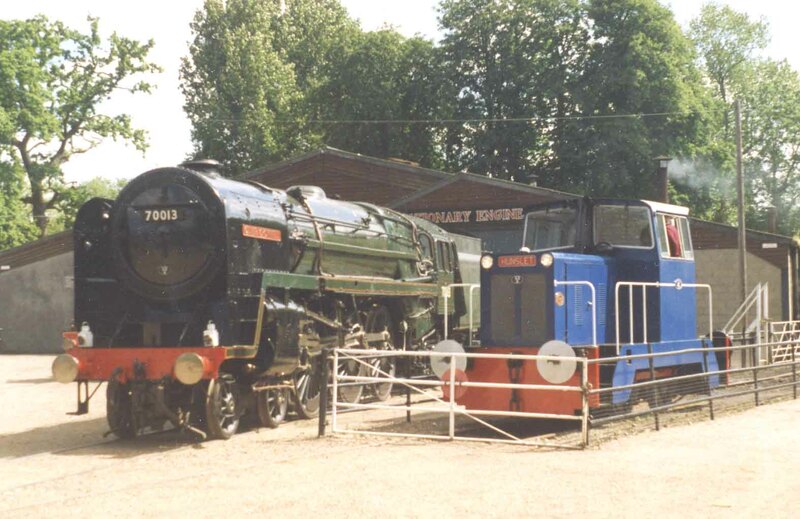 At the Nene Valley it starred in the James Bond film “Octopussey”. 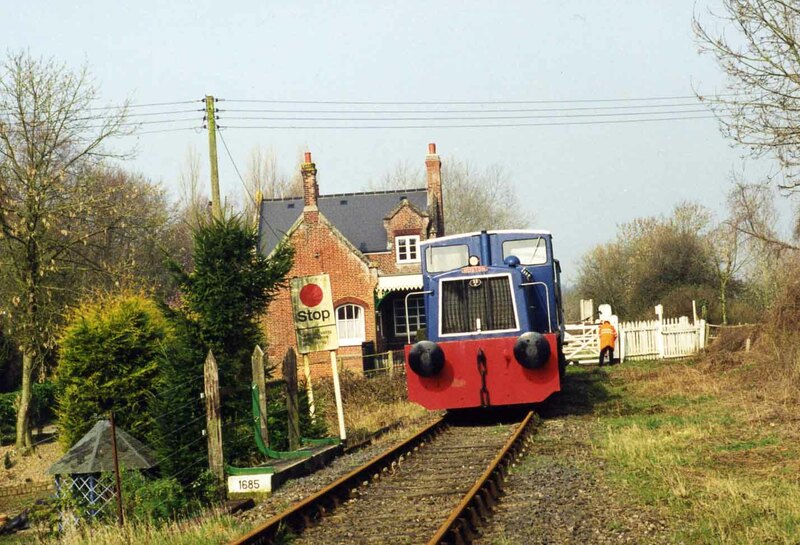 Purchased by GET in the early 1990s it went to County School station to haul the first passenger trains. It has a Dorman 6QA 262bhp engine and Twin Disc Hydraulic transmission. It is currently having a transmission overhaul. DREWRY No 3 (now Harry at Barrow Hill) (works No DC 2589 RSH No 7922 of 1957) These locos were built to a Drewry Car Co design, but contracted out to RS&H at Darlington. It was new to the Dover Gas Co and later worked at the Perfleet Deep Whaft Co before going to CountySchool Station in 1992. It has a Gardner 153 bhp 6L3 engine and a SCG mechanical gearbox. Tractive effort is 12,600 lbs with a weight of 23 tons. DREWRY No 5 (now EPPING & ONGAR ) (works No DC 2566 VF D293 of 1957) These locos were built to a Drewry Car Co design but contracted out to the Vulcan Foundry in Newton Le Willows. It worked at the Erith Wharf before going to Norfolk. It also went to the arbortive scheme at Dunstable. Thern to the Epping & Ongar Railway in Essex and now in private storage. It has a Gardner 153 bhp 6L3 engine and a SCG mechanical gearbox. Tractive effort is 12,600 lbs with a weight of 23 tons. RUSTON No 9 (works No R512842 of 1965) This is a LPSE built originally for Reed Paper at Greenhide and named Batman. 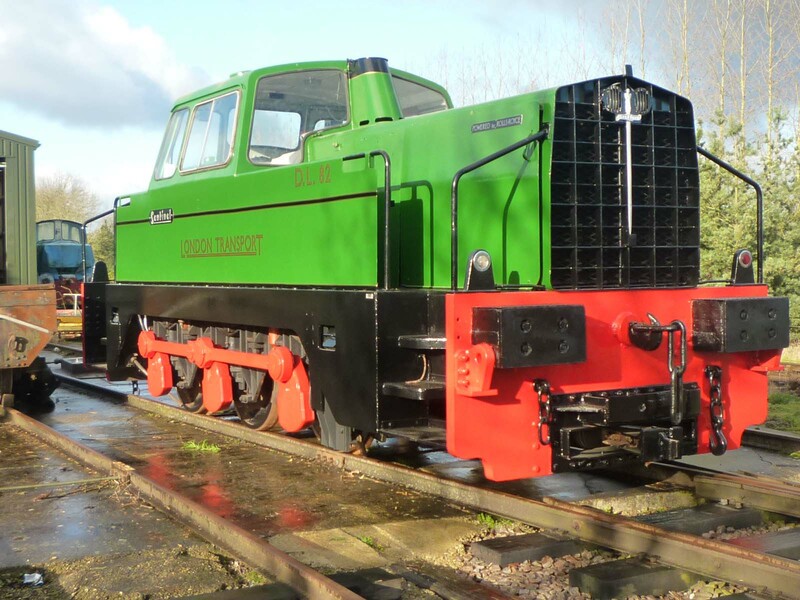 It has a Ruston 6YE 192bhp engine driving through AEI traction motor to give 19,120 lbs TE . 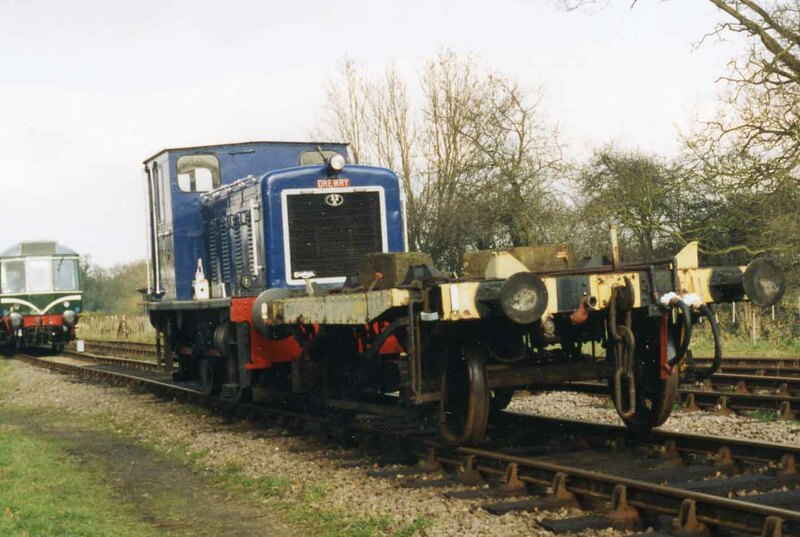 It is the diesel electric version of No 1 and only a few were built. It has a single traction motor mounted high up directly driving the final drive. This arraignment keeps the water sensitive motor away from mud and water. 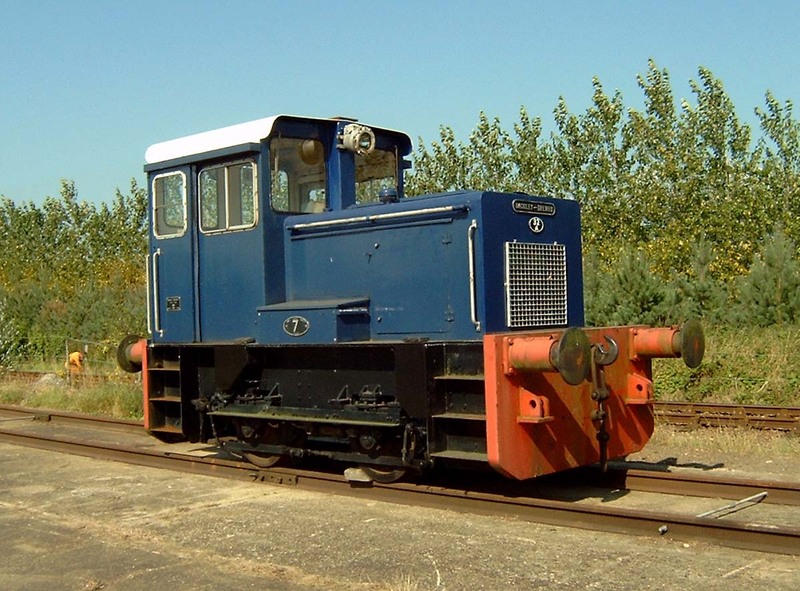 THOMAS HILL No10 (works No TH163V of 1966) Built by Thomas Hill of Rotherham with Rolls Royce 203 bhp engine driving through a Twin Disc transmission to give 20,000 lbs of TE. Worked at Ford of Sawnsea and Rugby Cement at Barrington before going to Bressingham Steam in 2005 . Presently shunting at Southall depot in London. BRUSH TRACTION DE 0-6-0 No 11 (works No 804 of 1978) Built by Brush Traction of Loughborough with Rolls Royce DV8N 427 bhp engine driving through Brush electrical gear, Speed 31mph. One of five locomotives built for the Tyne & Wear Metro system for works trains and hauling passenger trains in an emergency( Metro No WL4). Worked for the channel tunnel before comming to Norfolk..